India is the second most populated country in the world and holds the 2nd highest population of developers in the world. Yet, it's one of the least popular places for digital nomads. Nomadlist ranks its capital, New Delhi, at #605 (out of 651). What was your favorite activity/place to visit in India? Paul: Hard to answer, many different qualities to each place. If you want an easier trip with sun and beach, you go south. South is a different country, it does not have the intensity of North and is considered “India Light”. The North is intense and has much to offer. I would probably advise to see the North on limited work hours or during free-time. The South is more nomad friendly, it is not so poor and has better infrastructure. It depends what you’re into, to know how to answer this better, outdoor activities, sight seeing, Indian food, etc. 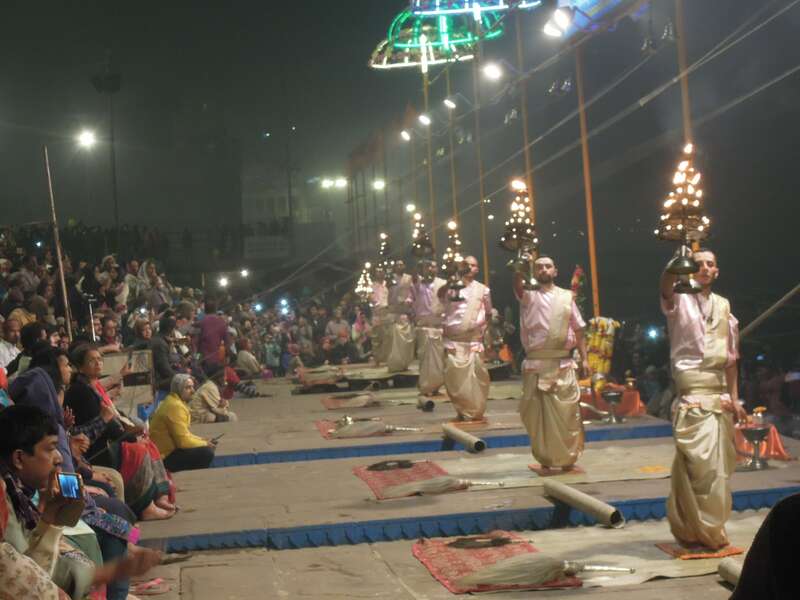 The most memorable place was probably Varanasi for the evening Aarti on Dashashwamedh Ghat. And watching the bodies being burned at the cremations in Manikarnika Ghat is a very moving experience. 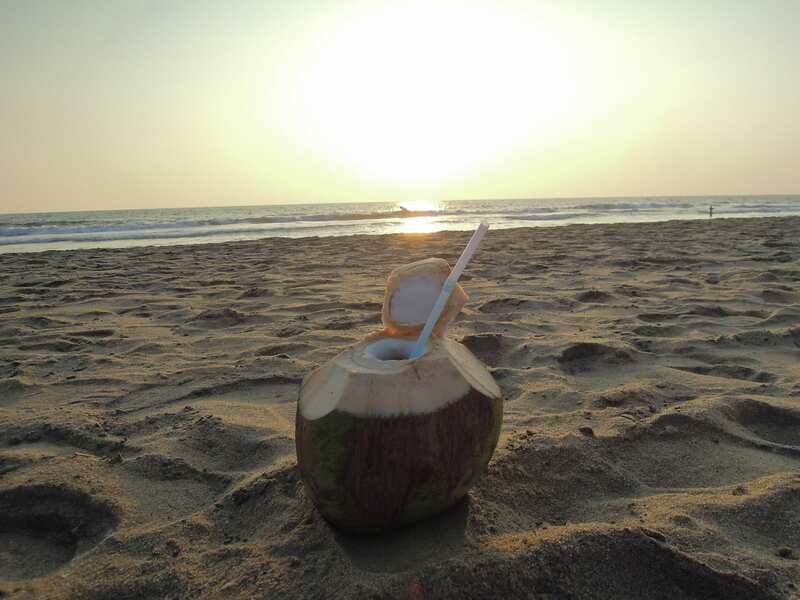 Varkala (Kerala), South India for Ayurvedic medicine, sun and beach. What school of yoga do you prefer? I’m an instructor of Shivam Yoga, so I prefer that. 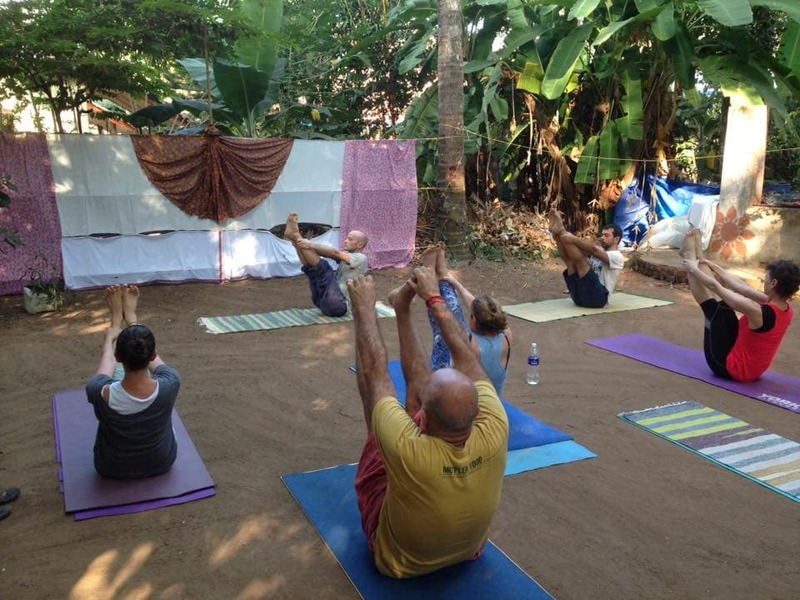 Actually, this yoga is not common in India, but I did get to give some classes there. Our main Ashram is in Brazil and our Indian Ashram is being built in Khajuraho, in the future. Shivam Yoga is a non devotional, tantric yoga and basically means Shiva’s Yoga. Shiva is the deity and symbol of tantra and this type of yoga has the goal to revive the tantric philosophy and culture originating from the Dravidians. Yoga in India is almost always influenced by the Vedanta philosophy, which is a devotional philosophy brought by the Aryans when they invaded. Hindu culture and its yoga has many mixed influences, from many philosophies over the years. Our goal is to be closer to a purer “tantric” way to live. So, it’s a preference of philosophy and the practice of Shivam Yoga itself brings many noticeable life benefits. How was the food in India? Paul: Food was one of my favourite parts. I’ve loved Indian food and loved it / eating spicy food since I was about 10. 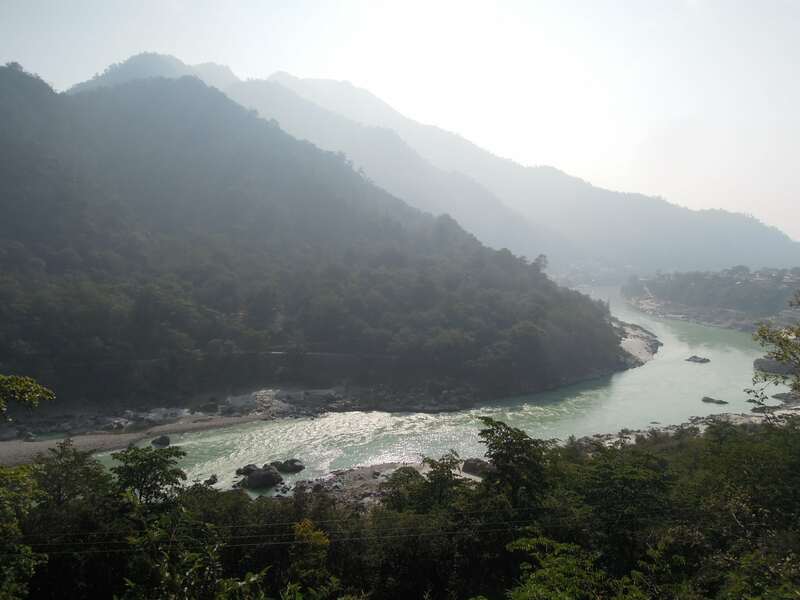 We did a cooking course in Rishikesh with Cooking Masala which was one of the best things. It might take some a while to get used to eating curry / spicy for breakfast though, but we loved it and miss it already. Where did you work from and was it easy to access to the web/communication/etc.? If it didn’t have these, I would work from a café or restaurant that had either a WiFi connection (usually they weren’t great). I only worked elsewhere occasionally once I got my SIM card from the 2nd week onward, so that I could tether the 3G/4G connection. Overall, a good internet connection was tricky. 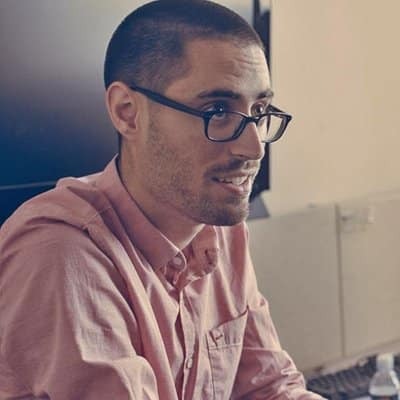 I was working with Docker on #unleash project at the time and also trying to sort out my client project environment via Docker. I had to postpone work which involved building Docker environments. It consumes precious data via a SIM card and the majority of places had an ok connection, not so stable and not good enough for pulling down machines and large libraries. So I had to plan work smartly. Having a SIM card was an absolute must, I’m sure I’ll say that again. Did you experience many struggles as a nomad in India? What kinds? Paul: Yes, many, it is India, travel happens at India’s pace in the Indian way. It depends on how "travelled" you are in poorer countries and more importantly for a working trip, how much time do you have free to allow for delays. For example, we opted for flying wherever we could as time was precious and Indian trains are not so reliable. Our morning flight Agra -> Khajuraho was eventually cancelled sometime in the afternoon due to pollution / fog. There was only 1 person trying to sort out pretty furious people, took hours of nonsense process and illogical alternatives offered, before we got it sorted. We eventually got a driver that Spanish people on our flight had been touring with, to drive us for 11 hours through the night in the fog. We got there, as you will in India, we just lost over a day. That is precious when working, so you need a backup plan if travelling long distances. Also, I would say a reliable internet connection, until I finally got my (Idea network) SIM card, and could fallback on that for tethering, if it was unstable where we were staying, or there was a power outage. We arrived in the middle of the currency demonetisation, so took us nearly a week to get cash, allowing us to get a SIM card, buy a train ticket, etc. The other daily struggle would be that you plan to do something in your off time and you have to be patient with any plans in India, as time runs at a different pace. So, I would advise to do local, simple things that don’t rely too much on others or much transportation in the days you are meant to be working. Do they have anything going on / any plans to deal with the pollution? Paul: Yes, air pollution and pollution from refuse in India is upsetting. People live in waste in parts. We need to get away from being a plastic society in general, simple as that, especially in developing countries, lack of education and infrastructure to deal with it. Maybe we can learn from a country like Rwanda who banned plastic bags in 2008 and get away from being a "plastic society". Did you have to worry about your safety or other dangers? Paul: I wasn't worried about theft, as Indian people mostly don’t steal and are not violent, etc. I’d probably be more worried as a tourist in Ireland, haha. Not worried where I was in India, aside from wearing backpacks on the front in Delhi and keeping check on your pockets in crowds. I did leave a charger in a taxi driver's car that we had an argument with, from New Delhi to Agra. That was the worst part of the trip, not having a Mac charger in Agra, thinking we may have to leave the country if I couldn't get a replacement. Trying to source a charger in the midst of the chaos that is Agra, was stressful. The Taj Mahal is nice, but we found both Agra and New Delhi difficult and would avoid them in future. How much western influence is there with overall businesses these days? Paul: Depends where you are. We couldn’t believe Mumbai when flying over it and then in the airport, very business-like and westernised. The airport itself was pretty amazing art everywhere, but also felt a bit ridiculous, it was over the top in comparison to the rest of what we saw. It was a symbol of the inequality in a way. Smaller places and poorer places are less westernised and more cultural / unique, thankfully. It takes a while to get used to the Indian way of service. You need to change our western “privileged customer” mindset, as you won’t be treated the way you might be used to as a customer in our countries. You just have to think of the relationship as more equal, otherwise you get frustrated. Yes, my Irish, sun deprived skin was a calling card for hassle in places, haha. In more rural parts it’s common to get people coming up and just taking photos of you and walking off etc., without any communication. Miki was less hassled than me and my friend who is darker skinned Brazilian, less than her. I feel this is like a greater caste system that is in the mindset, even if unintentionally. It bothers some people, but I was prepared for it and it’s amusing sometimes, part of the experience. What was the biggest surprise for you in India? Paul: The biggest surprise was probably the amount of surprises, so it’s hard to single any of them out as more than another. It’s constant surprises, be them perceived as good or bad, so you’re kept busy. Any funny stories during your trip in India? Paul: Many stories, it’s hard to know where to start, so I’ll start with a lighter one. In Rishikesh, as in many places in India, you have to be careful of monkeys. 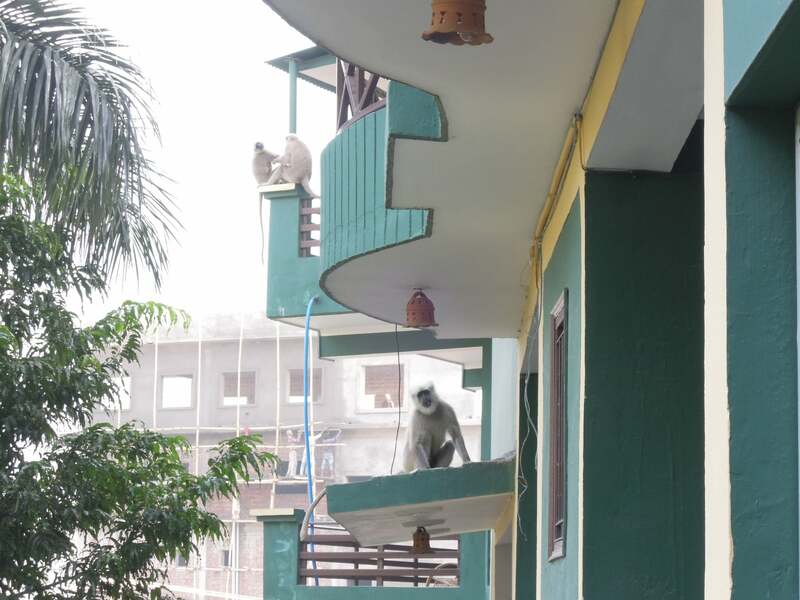 I was working on the balcony one day, sitting in the chair with the laptop when I hear this massive thud of a big monkey landing in the balcony. It startled me and I got a lot of adrenaline, as we had a brief moment of eye contact before I stood up to shout at the monkey. He grabbed 2 bananas that were on the table and jumped back out of the balcony and onto the roof to eat them while looking back at us. About 5 of them jumped from balcony to balcony through ours and up higher onto the rooves while the workers tried to clear them away by throwing stones near them and shaking trees etc. It was a pretty intense few moments. Wild life is pretty integrated even to the towns in India, so not uncommon to see a wild pig come out of a side road and just run down the street as we saw another time. Those monkeys are pretty big and intimidating also, saw a big male one getting fed up with a tourist taking photos of him and giving a big mouth open, making a hiss noise and show of teeth as a warning. Another girl got bitten, she was ok but had to go to get some shots at the hospital. So exercising caution when around monkeys is a must. No open bags, no food, be vigilant and you’ll be fine. Were there a lot of noticeable foreigners there? Did you meet any other nomads? Paul: In New Delhi, foreigners are around ,but not so common unless at the train station or hotel, probably due to population size. Rishikesh has many foreigners, Agra has many around Taj Mahal only, some near temples in Khajuraho and a few in Varanasi compared to local population, loads in Varkala as it’s a beach resort. So it’s varied in the places where we visited. Met no other digital nomads or people working, most people we met in the north were there for yoga tourism or the finding themselves backpacker, going for the more spiritual experience for a few month long trip. In south, again met no digital nomads, and as in the north, whenever I mentioned I was here on a working trip, it was met with shocked reaction :) Most people in South we met were more on a 2 - 3 week holiday. Different place, different tourists. The question on ex-pats interested me also as it’s an application process to get visa for India for most, via the Indian Embassy. Different costs for different countries, I paid €40 on Irish passport whereas Miki paid €20 on a Japanese passport. So, it’s kind of a more closed country, or at least more involved for a visa than just given on arrival. When I saw ex-pats running businesses there I always worked it to indirectly ask “How are you able to be here?” Usually the answer was that they were part Indian, or married to an Indian. I did see a few Australian and English people running businesses in South, but never got to ask them, so perhaps it’s a case that money speaks in a way also, and if you can run a business, perhaps there’s a way to settle there, but I’m not sure, and it’s not so common. Most places in tourist areas are Indian run, Kashmiri, or Tibetan. What was the most inspiring moment of your trip to India? Paul: The most inspiring for me is the integration between man and animals. In the streets, fields, etc., it’s animals without borders, with minimal human restriction. The north is almost exclusively vegetarian due to Hindu ethics and I had never been somewhere so strongly vegetarian, it felt like home in that way. We won’t have that privilege in Japan, but it is our goal to influence things in this way, no matter how small an impact we can make. The counter point to the above is the apparent lack of respect for nature in terms of refuse. It puzzled me and made me think a lot and I asked people questions about that. Rubbish / trash is really everywhere. One theory on that is that education and mindset has not caught up with the more western influenced packaging. Indians used to buy their food in a more natural based packaging, like a banana leaf, etc., and discarding that was no problem. Now with the non-eco friendly packaging, discarding that is causing major environmental issue, so I hope that can be solved sooner rather than later. There were many of these pros and cons, so it was very eye opening experience to be somewhere that operates so differently.